When I realized that change was headed my way, I didn’t realize that it was going to be this intense. In July, we sold our house in preparation for a move next year. We packed up all our stuff and trucked it to a rental. I whined about that a couple of posts ago. However, life is not always orderly nor predictable (nor should it be). In late August, the opportunity for a great job came up. I interviewed, and a couple of days later I accepted their offer. The job was 1000 km. 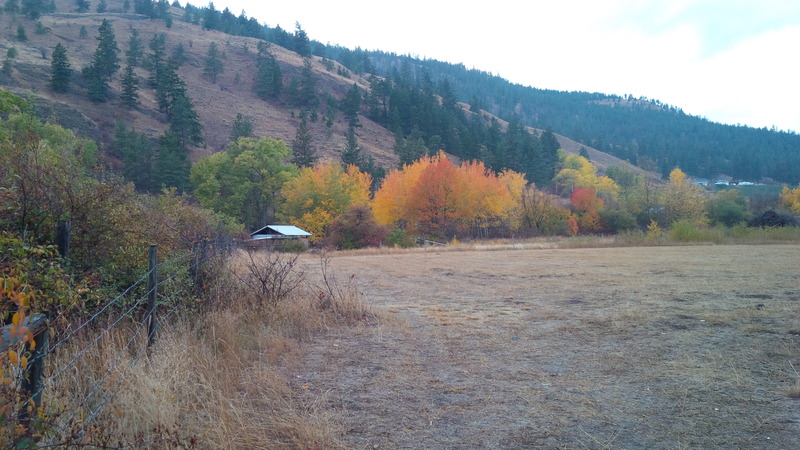 away in the Okanagan Valley of British Columbia. Wine country. Some of the best wine in the world. I was on my way west (even though I’m not a young man) inside of a week with my car packed to the rafters, my poor Rudy dog parked in a kennel and my dear M left on the prairies to finish up a work contract. Now I live near all those wine grape vines you see in the top photo. After finding a long-stay motel to reside in and starting my new job on August 31, I immediately got sick. Go figure. There was sniffing, snorting, blowing and wheezing. A cough that came out of my bootlaces. A jackhammer headache that doubled in intensity every time I coughed. Aches and pains in my muscles that could have been caused by digging the equivalent of the English Channel tunnel but weren’t. I sounded like a four-pack-a-day, 60-year smoker. If I laughed, I broke into a cough. Sneezing turned into a chain of mini-eruptions with attendant lava flow. I was feverishly hot and cold at the same time. And through it all, I kept working. New job and all that. I was the queen of hand sanitizer, giant tissues and elbow coughing. Then it started to go away. I started to get cocky. I’m like that. Then I started to feel really, really bad. I woke up one morning feeling like I needed to get the bolt in my neck tightened. Which would have been all fine if my name had been Frankenstein. I decided to investigate by taking a look in the bathroom mirror. I looked like I was wearing a turtleneck sweater with an inflation device inserted into the neck part. The side of my neck was swollen from my ear to my shoulder and the pain that accompanied it was intense. My tonsils were swollen. My ear ached and crackled. I could hear everything inside my mouth but nothing outside. A secondary infection had taken up residence. Yum. It’s still not gone but I’m about to start my second round of antibiotics, for which I am eternally (and internally) grateful. Nevertheless, despite my health issues, there has been room to enjoy the good stuff. Rudy has joined me. M has joined me. There is REALLY good wine here. M and I have found a beautiful home and our offer to purchase has been accepted. What a start to a new job, Lynette! Sounds like you were burning the candle at both ends as the saying goes. Really pleased to hear that you are on the mend – listen to your body and don’t overdo things – you need to be fit and well to enjoy all that fabulous scenery – not to mention the wine! Woo Hoo! 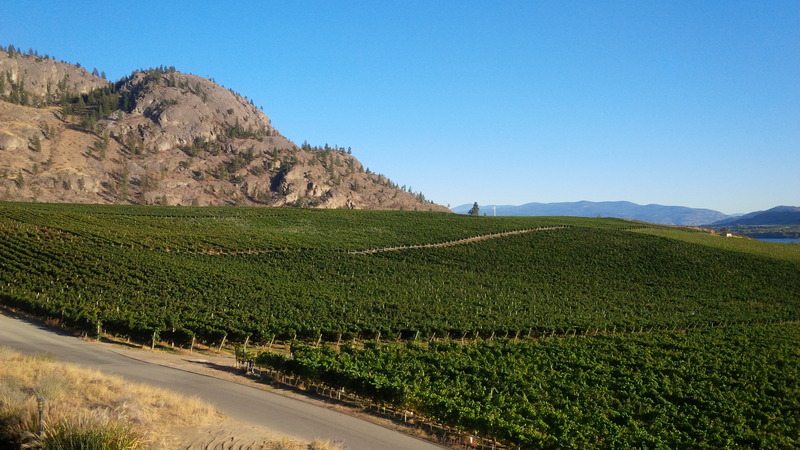 Congrats and welcome to the Okanagan! I hope you get over the dastardly infection very soon. Wow! What a view! A good job and good wine…sounds like you’re in the right place, Lynette. I’m so happy for you! I’m happy for you, Lynette! Wondered why you hadn’t posted for a while. I’m so happy that firstly you are finally settled with M & Rudy dog 😊 Secondly that you have got through your terrible sounding infection and of course ahh the wine..the wine that you can now enjoy in your new home ~ congratulations! It has been massive, yes, and quite overwhelming at times. And then to get sick while trying to impress my new boss – not fun. But we are starting to settle and are looking forward to being in our new home – M will be handling all that and it will be a big job. Had a bit of a difficult morning but I am having more good days than bad lately. It will take some time to get settled for you both but its a lovely opportunity to have a new start. Thanks so much for reading and supporting my posts. I am so so happy for you (other than the turtle neck infection) and can’t wait to be like YES ME TOO, HUZZAH! When I left Toronto for Montreal for a new job there I promptly got really sick as well — it was a huge move and (which I sort of knew at the time) — was also the last time I would live in Toronto for decades. Still away. A major change is super-exciting but also stressful, at least at first. Inded! Best of luck with the new life. You’re in BC! Have you always been in BC? 😉 I’m on the west coast, not too far from Vancouver. I spent summers as a kid vacationing in the Okanagan. So lovely. Fruit, wine, sunshine, lakes, snow in the winter. That sick thing – doesn’t it always seems to follow periods of stress and change? So happy to hear you’re settling in and enjoying your new job, house, life. All the best!